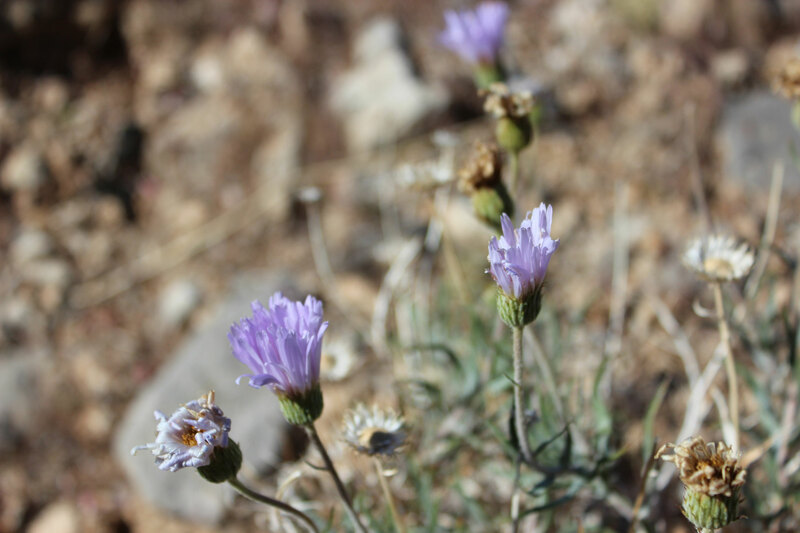 If you happen to be in Las Vegas and need a break from the bright lights and late nights, Red Rock Canyon National Conservation Area is a great destination to re-ground yourself. 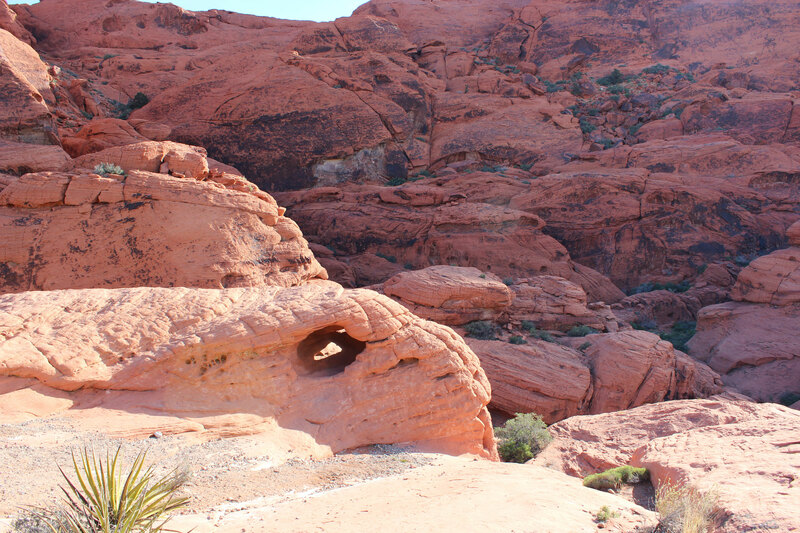 The park is 17 miles from the Strip, but feels a million miles away. 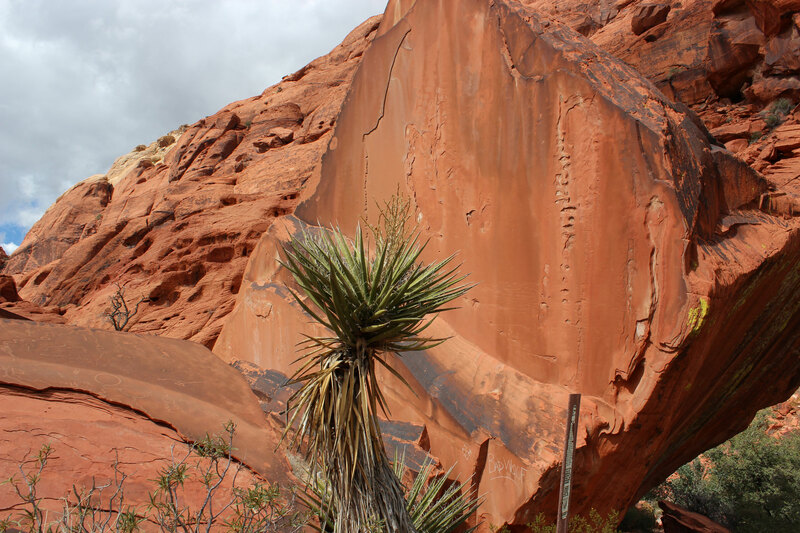 The geologically significant area of the Mojave Desert features amazing deep orange-red striated rock formations and peaks. 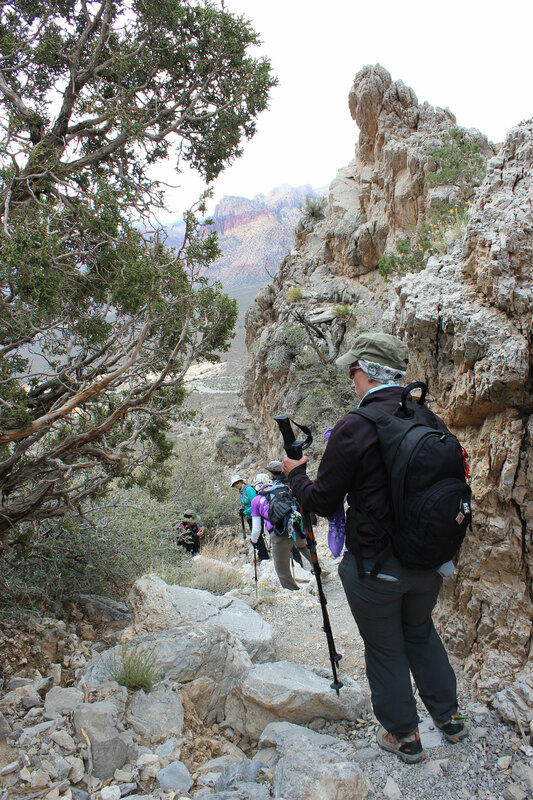 This 7.5-mile hike to Turtlehead Peak is not one to be taken lightly. It’s super steep and rocky, with some rock scrambling near the top and lots of potential ankle rolling loose rock, especially precarious on the downhill return. 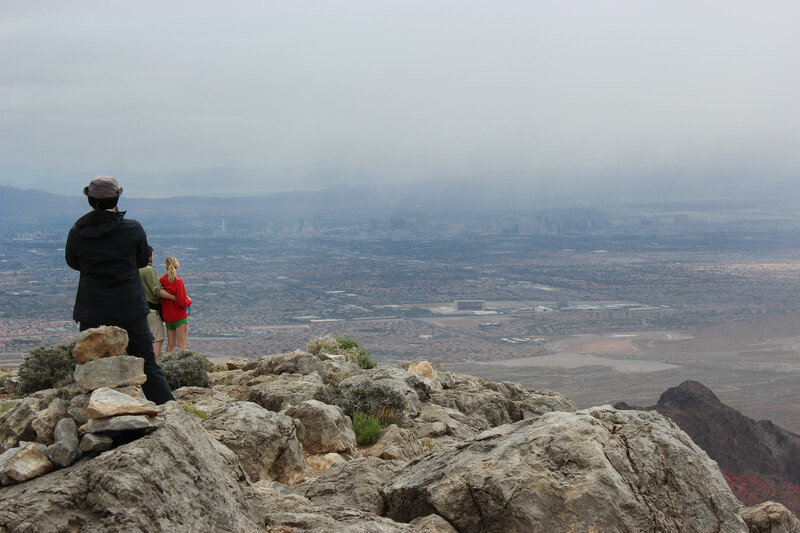 But in return for the quad-busting workout you’ll get a great view of the desert and the Vegas skyline in the distance. Note: The GPX track is one-way. For the return simply follow back down the way you came. 1. 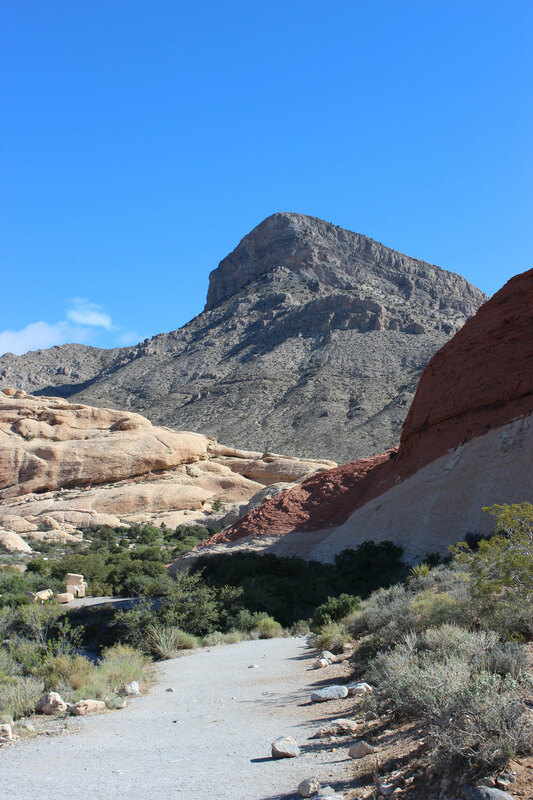 From the Calico Hills 2 parking lot, follow the trail northwest toward Sandstone Quarry. 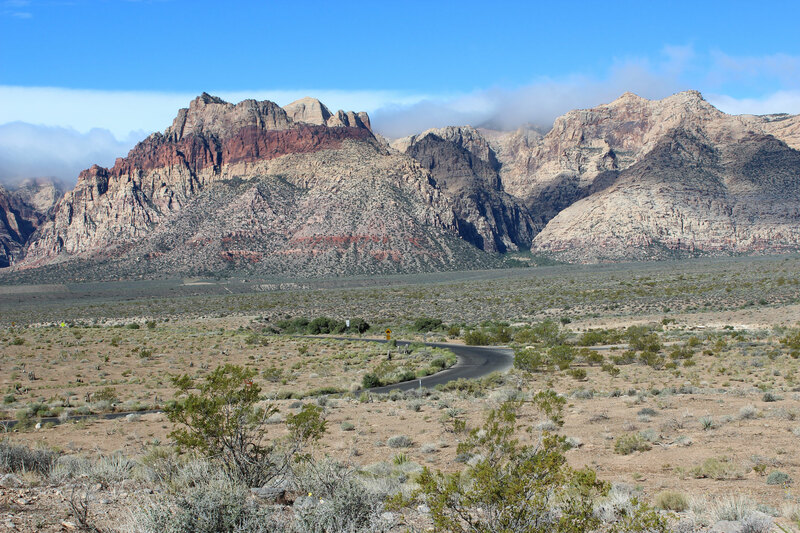 You’ll pass through some amazing red rocks on this relatively flat stretch. 2. 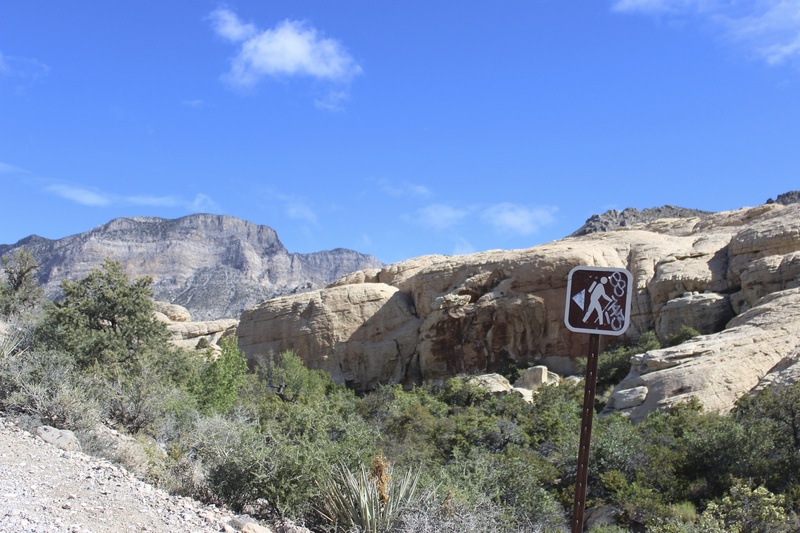 At the Sandstone Quarry parking lot, walk past the bathrooms to find the Turtlehead Peak trailhead. 3. Follow the signs toward Turtlehead Peak. As you leave the parking lot the trail is very visible and easy to follow. Enjoy it while it lasts because things will get a little more dicey farther up near the peak. 4. 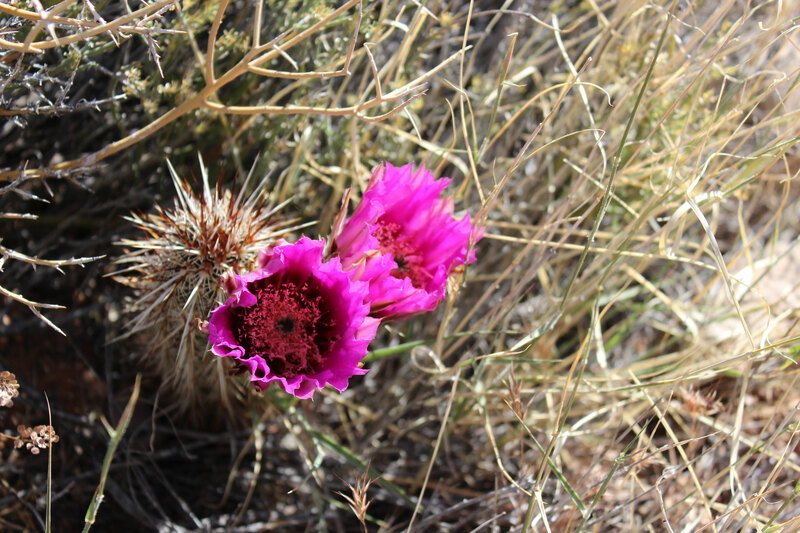 At the Calico Tanks turnoff, continue to follow the signs to Turtlehead Peak. You’ll find yourself walking in and out of a wash, which if you aren’t familiar looks like a dry rocky riverbed before very up toward the peak which will be line of sight from this point forward. 5. You’ll pass occasional signs showing a hiker with an arrow, but they are few and far between and end as you approach the peak. At this point you’ll be guessing at the trail as best as you can. Just keep yourself aimed toward the peak, or more precisely the saddle to the left of the peak as you are approaching it. 6. Scramble up a ravine to the saddle, then curve to the right to head to the peak. We found it easier to swing a wide arch rather than turning straight up to the top, but you’ll have to pick your own way. There are trail like areas, but in spots it isn’t a clear path. 7. 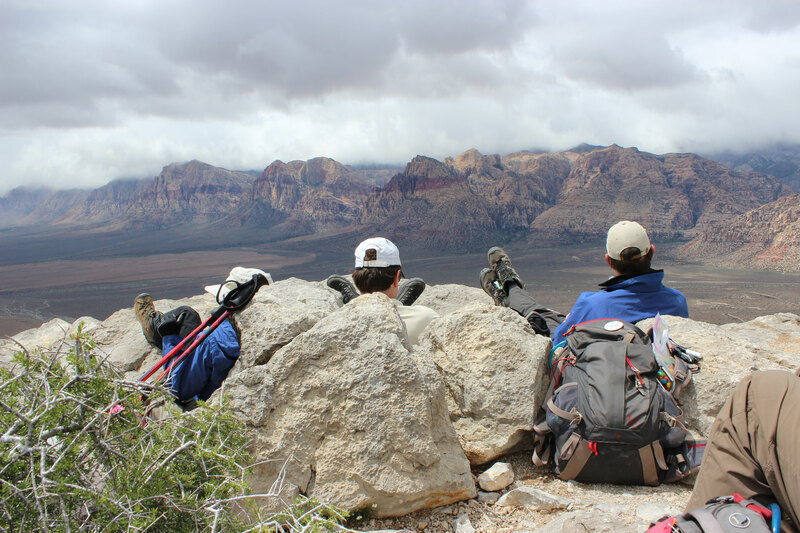 Enjoy the view from the peak – perfect for a lunch spot – before returning down the way you came. The approach to the peak is very strenuous as you gain 1,000 vertical feet in about .7 miles. While I heard the trail described in other blogs has having Class 3 rock scrambles, I’d say there are only a couple spots that would meet that standard with most of the scrambling a solid Class 2. What does this mean? 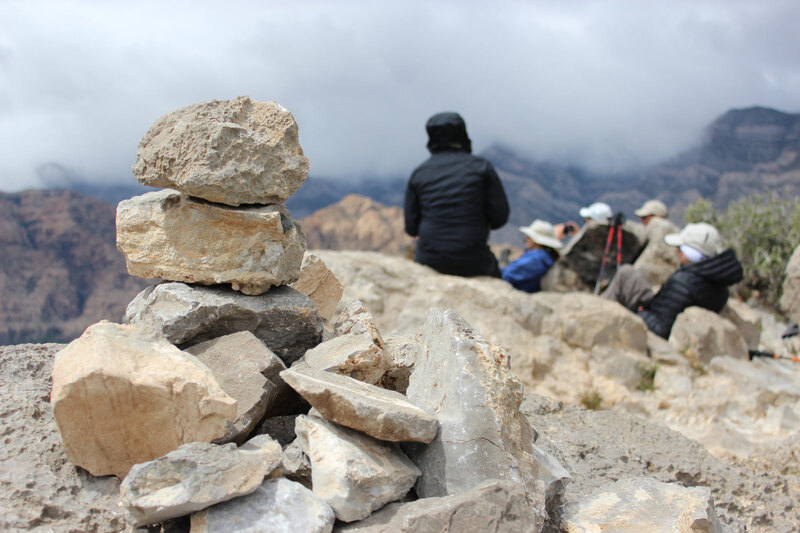 Basically it means that you don’t need to carry a rope, but you will find yourself needing in spots to use your hands to pull yourself up big rocks or, in my case with shorter legs, find yourself sitting on your tush on the way down to make a big step. But all told, you can do the majority of the hike with hiking poles in hand (something I’d definitely recommend for the downhill return) and in an upright position. The biggest difficulty is the loose rock on such a steep incline when you are returning down the mountain. Be careful not to roll an ankle. We had a few people slip and fall on their bottoms, but thankfully no injuries. Be sure if you get shaking quads to take breaks and give your legs a chance to relax so you don’t get sloppy on your footing. 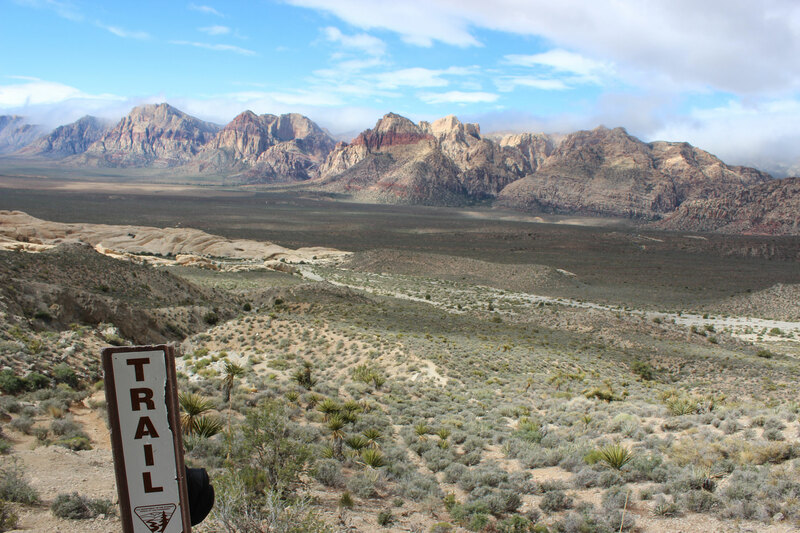 As mentioned in the route description, there is good visibility and signage for the trail at the start of the hike, but it will very quickly become a guessing game. Occasional signs with a hiker and an arrow will help steer you till you are within sight of the saddle to the left of the peak. At that point, you are pretty much on your own to pick your way up over the saddle and around to the peak itself. Be careful and don’t go anywhere you don’t feel safe. 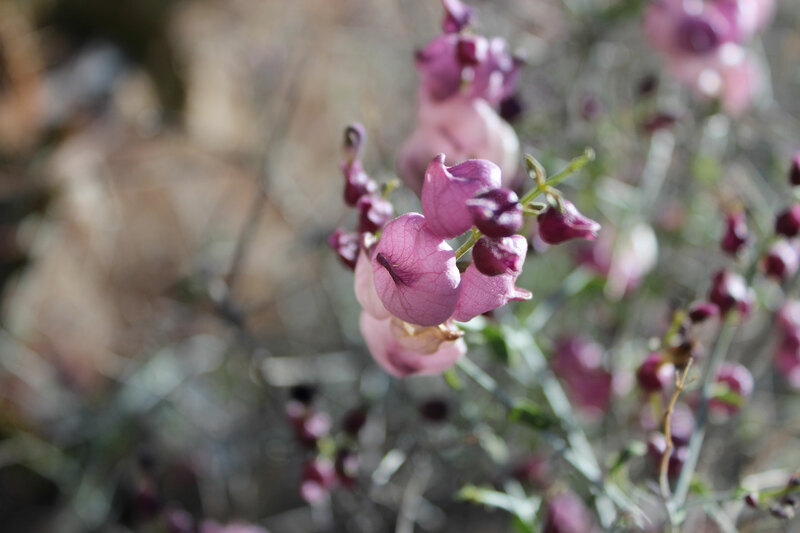 If you want a shorter hike, but still want to hit the peak, you can start from the Sandstone Quarry parking lot, cutting the roundtrip hike down to about 5 miles. 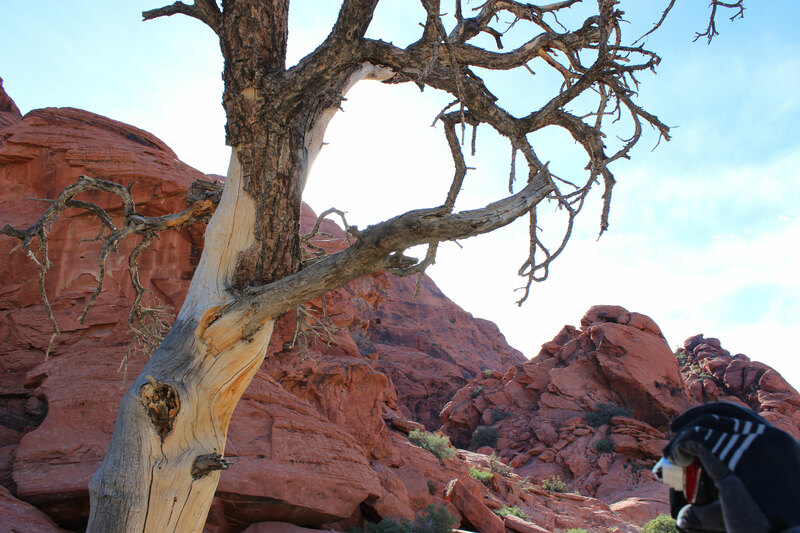 For a longer alternative, start at Calico Hills 1 parking lot which will add another 2 miles or so to the hike. 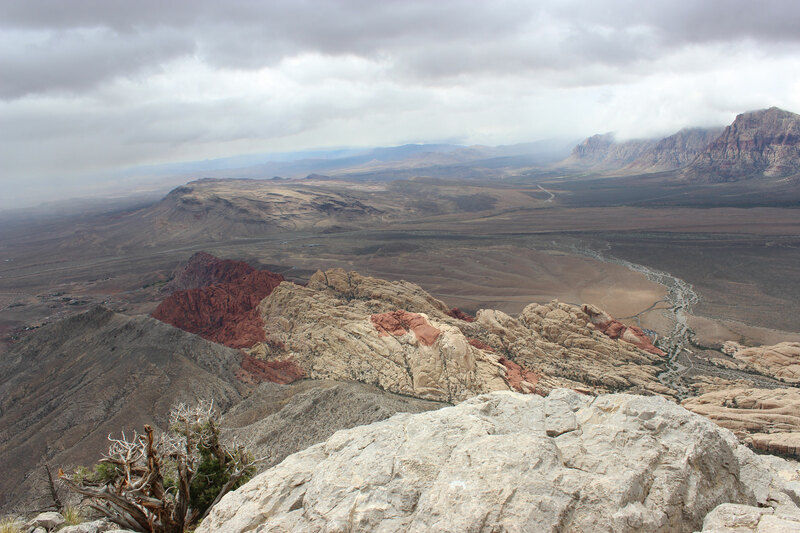 Unlike most Bureau of Land Management areas, Red Rock Canyon has a top-notch visitor center. 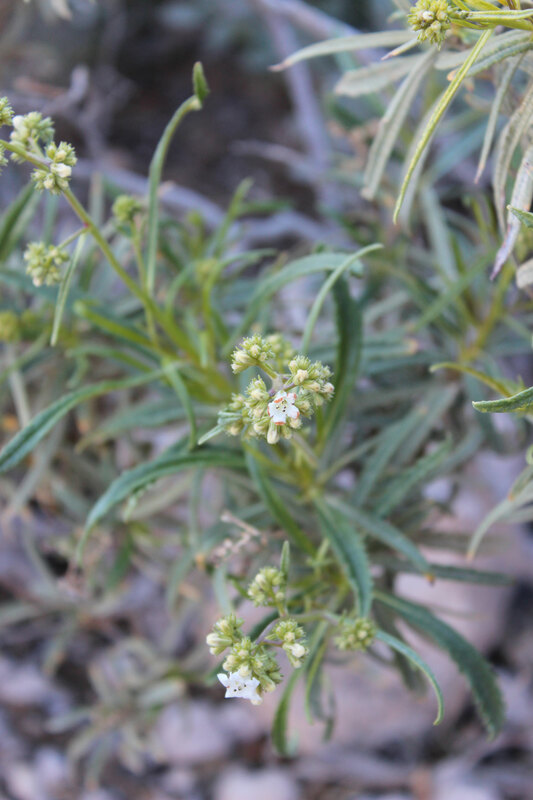 Be sure to make a stop to check out the information about geology, wildlife and more. Head out back to see the desert tortoises, including Mojave Max. Like it or not, you will get to enjoy the 13 mile scenic drive through the park when you go to do the hike as it’s a one-way route through the park. However, if you decide to do the visitor center after your hike, just re-enter the park to go to the center. From there you can exit back out the way you came in from the brief two-way zone. 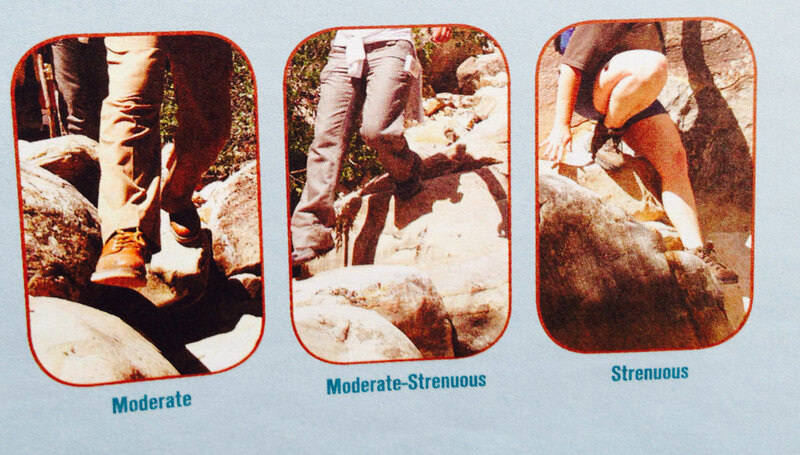 But be careful not to overshoot the center or you’ll be back on the 13-mile scenic loop with no shortcuts. I’m so impressed with all your pictures Johanna!